Mobile advertising firm AdMob has released its September Mobile Metrics report, which outlines trends based on ad requests from the company's network of apps and sites. Globally, iPhone was the top handset in terms of requests, accounting for 16.9% of the traffic on AdMob's network. It's followed by iPod touch in second spot with 8.4%. 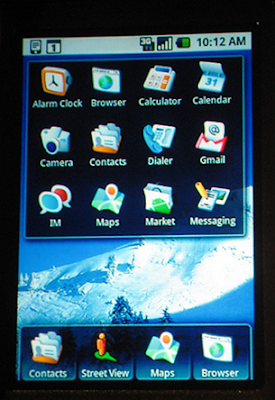 Focusing on smartphones specifically, the iPhone OS accounted for 43% of requests, followed by Symbian with 29%. Android is third with 10%. However, in the US, Android is in second spot with 17% of ad requests in September - up from 13% in August thanks to growth fuelled by the HTC Dream and HTC Magic handsets. Five of the top ten handsets in the US have touchscreens, six have Wi-Fi, and six come with embedded app stores, according to AdMob's data. The full report can be downloaded here.